Isaac Giron (Master of Development Practice 2018) participated in Acara’s Changemakers Workshop in January 2018 and went on to win the $3000 Silver Prize at the 2018 Acara Challenge to pilot the “One Moringa” project. If you ask a Peace Corps Volunteer what they love most about their service, 9 out of 10 will talk about the people they’ve met – the Chiefs or elders of the village, the children playing in the courtyard, or the mothers and fathers working tirelessly to support their families. For myself, I had the great pleasure of meeting Kokou (pictured front and center in the photo below). He’s a jolly man, quite stubborn in a courteous Togolese way, and one of the most optimistic people I’ve met. He has a grand vision for his family, his country, and his organization, Wake Up Africa. 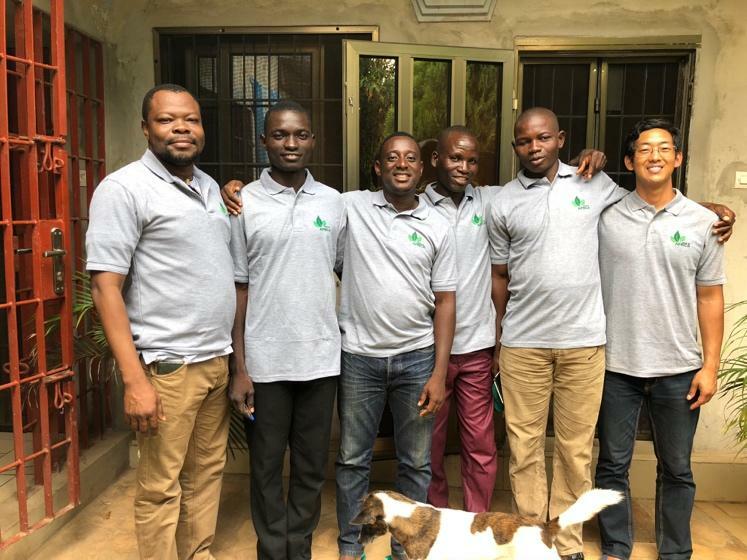 Kokou and his team are fully aware of the harsh challenges they and many Togolese face every day, and they’re rooted in the belief that the solution is found in nature and the very environment in which they were raised. He dreams of establishing an agro-pastoral center – an educational beacon where students, farmers, and educators will gather to learn of Togolese nature and culture, and to discover their own power to drive improvements in communities throughout the small West African country. Kokou believes deep down that once Wake Up Africa launches, this center will provide local jobs, educational opportunities, and environmental benefits to its neighboring communities. His belief is his greatest strength, but it’s also his greatest weakness. Like Kokou, many struggling business owners in Togo rely more on their intuition than on strategic planning and financial analysis. Since purchasing the land in 2012, Kokou and his team have hit many barriers to realizing their vision – money, most of all. 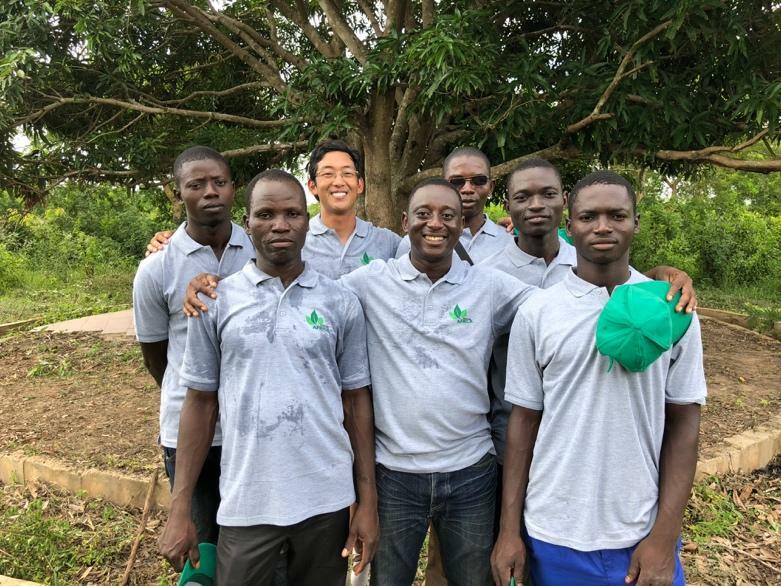 The last six years were spent painstakingly hunting for short-term financial gains to simultaneously get out of debt and piece together the foundations of Kokou’s dream agro-pastoral center, but it was clear this strategy wasn’t efficient. It certainly wasn’t sustainable. In Kokou’s view, there is no turning back. This idea has to work. So the question is, what viable revenue strategy can launch this idea and sustain it over time? Staying true to our mutual belief in the importance of natural resources, Kokou and I developed an idea that would not only provide financial returns to Wake Up Africa, but would also garner environmental returns for local farms, and potential economic and health benefits for neighboring communities. At its core was a small plant that would make all the difference. Moringa is a nutritional powerhouse, packed with vitamins and nutrients to tackle malnutrition, and antioxidants to boost immune systems. Furthermore, the oil from its seeds is used in cosmetic products like soaps, shampoos, and lotions. The world wants more moringa, and Togo has plenty of it. One Moringa was conceptualized with a grant from the Acara Challenge. It will serve as the moringa-producing arm of Wake Up Africa, and generate revenue to finance operations and activities over time. Once One Moringa is established as a consistent and high quality base supplier of moringa powder and seeds, it will supply regional distributors who serve US and European companies that use moringa in their product line. 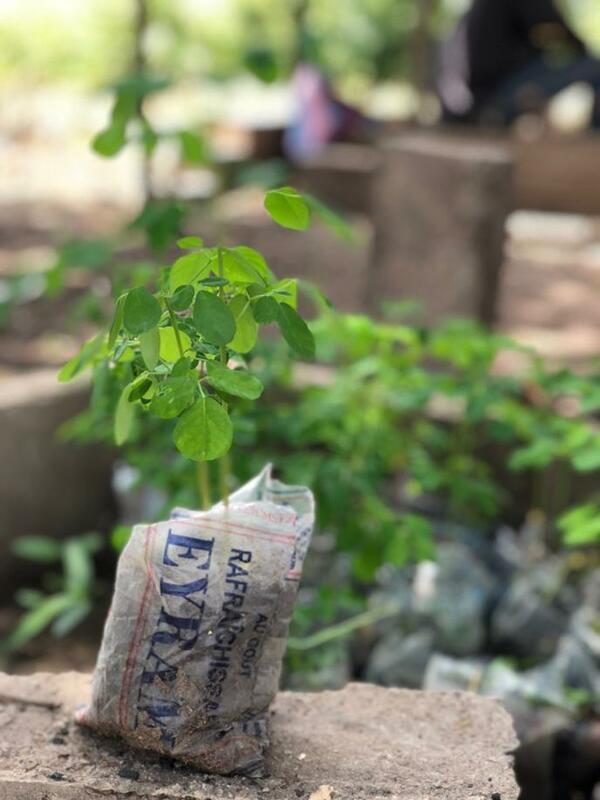 In order to expand our supply, we will employ local farmers to add moringa to their crop rotation, adding biodiversity to their farms and enrich the soil over time. The revenue will be used to complete the agro-pastoral center and finance its operations and community development initiatives. The future isn’t as intimidating with a sound strategy and a clear definition of roles. Our immediate focus is on securing a grant to purchase capital equipment, and establishing stronger relationships with surrounding community leaders. We need to strengthen our local networks and view communities as partners, not beneficiaries, and this takes patience and immense effort. Knowing we’d need more funds to purchase capital equipment for producing moringa, we decided that the Acara Challenge funds would best be used to invest in an intermediate revenue earning strategy, and to begin construction of the moringa facilities that will house future equipment. We held a much needed retreat to share our strengths, set precise goals, and establish a clear vision for Wake Up Africa and how One Moringa would take us there. One can get used to Togolese business culture, as the retreat ended up being one part business and two parts eating, drinking and bonding. Though we have an incredible distance ahead, we felt the value in this meeting, and proudly celebrated the small victory that will lead us forward..